These high-protein sandwiches have full-on flavor with less of the fat. (SPOT.ph) You don’t need to give up burgers and fries to clean up your diet; you just need to work with the right ingredients. 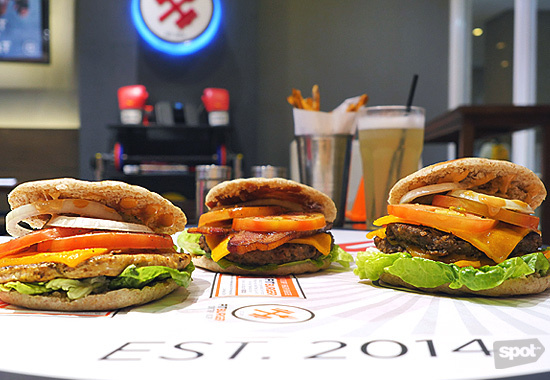 This seems to be the mantra of FitBurger in Eastwood City, which is proving that burgers can get you buff. 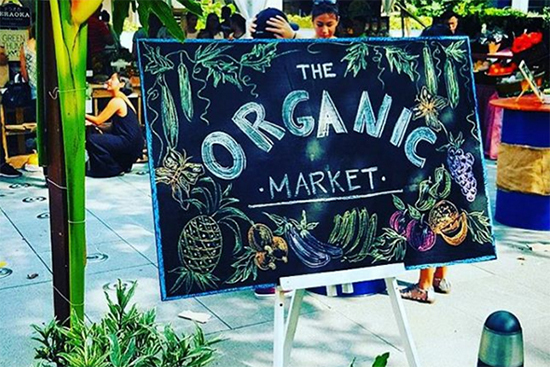 Let's repeat that: Burgers can get you buff. 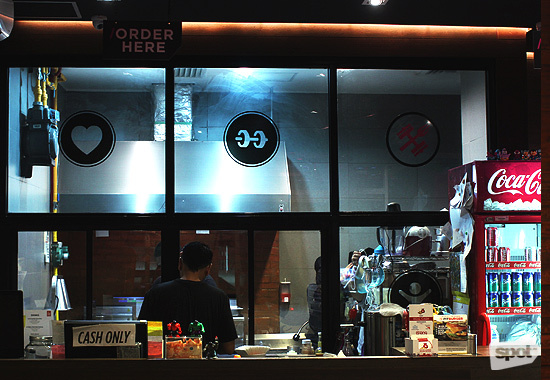 The man behind the restaurant is Tony Macaraeg (a.k.a. Tony Max), an A.C.E.-certified personal trainer and health coach. He used to weigh 280 pounds before making smart diet and lifestyle changes that have led to a jaw-dropping physical transformation. Now, he’s spreading the word on good health with healthy dishes, including burgers, hummus dips, oatmeal with cinnamon and raisin, and grilled chicken breast strips, just to name a few. True enough, FitBurger looks and feels like it’s made for those with an active lifestyle. 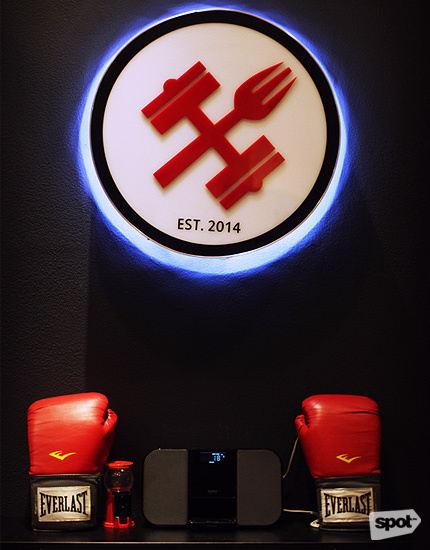 The resto has dumbbells, boxing gloves, and motivational fitness posters on one side, and kettlebells and a nine-foot rock-climbing wall on the other. 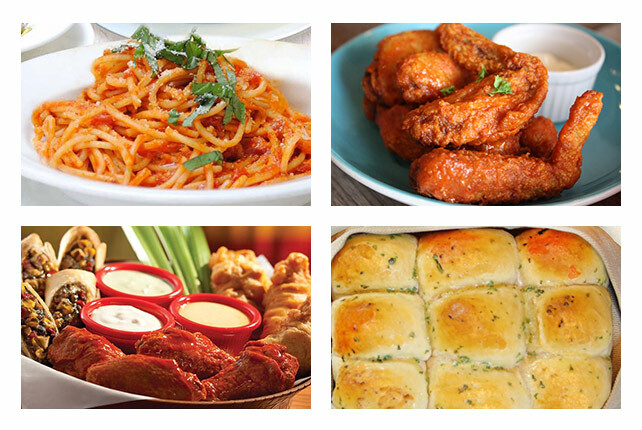 More importantly, the food gives you all the good stuff without the guilt. Fitness is an obvious theme here. 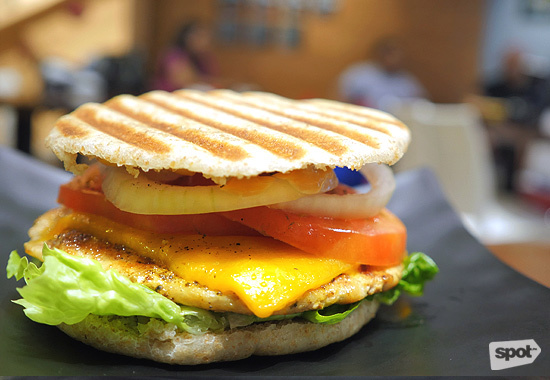 You can’t help but appreciate the effort FitBurger has put into making sure that all aspects of its menu offer health-friendly ingredients. 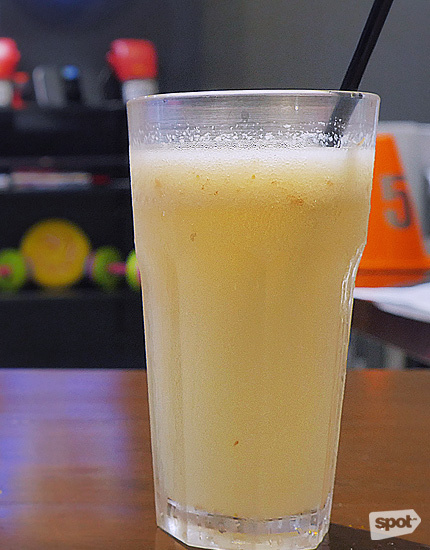 Drinks, like the CocoLychee Smoothie (P120) and Amino Boost (P170), both tangy thirst-quenchers, use stevia or organic honey for their sweeteners. The patties are made of Australian grass-fed ground beef and have a 90-10 meat-to-fat ratio, packing a whopping 42 grams of protein each (compare that to a fast-food burger, which has roughly the same amount of total calories but with just 31 grams of protein). Each burger also comes with two thick slices of leptin tomatoes, which Tony says are good for muscle recovery, and vibrant green romaine lettuce, which offers more fiber than the usual iceberg variety. 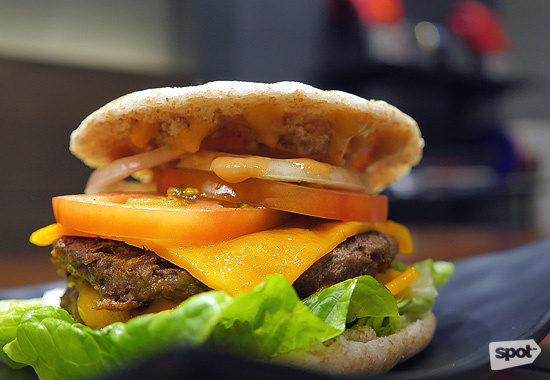 The bun is made of wheat pita bread, crunchy on the outside and soft on the inside, which has no sugar and fewer carbohydrates than your typical sesame bun. 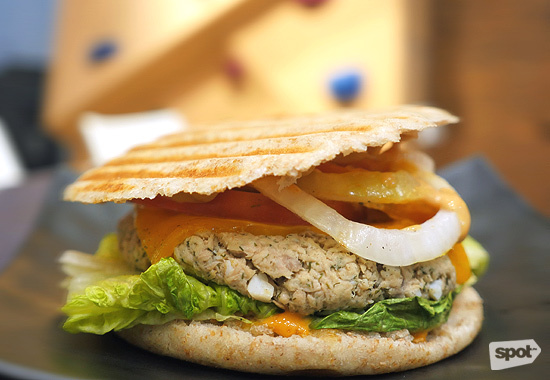 All these give you high-protein, low carb burgers without having you break the bank. What’s not to love? 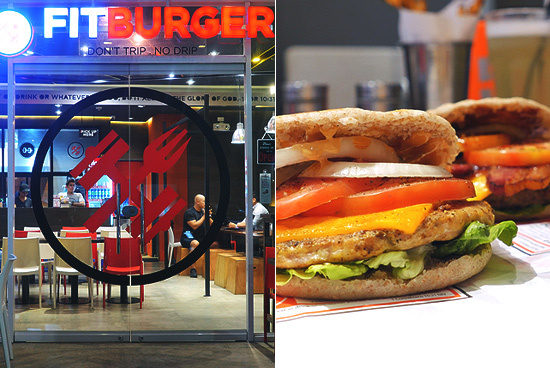 The Fit Burger (P190) tastes like a cheat meal, but you’ll definitely get quality ingredients with every bite. The beef patty (remember, it's 90% protein, 10% fat) gives you the distinct beef flavor that you crave after hitting the gym, sans the oily fat. 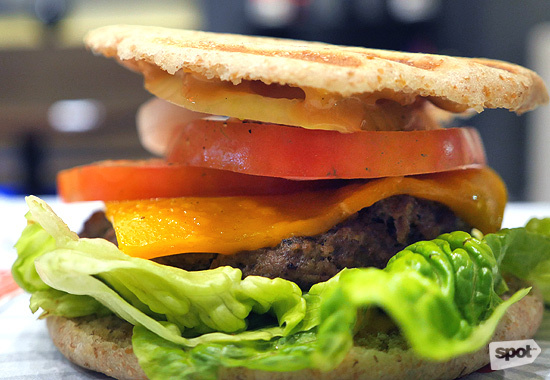 The burger comes with Fit Sauce, which is olive oil-based and mixed with homemade mayo. Some onions and a slice of real cheddar cheese round out the contents of the pita bread buns. The Fit Burger tastes a lot like a very popular burger of which even Tony is a fan, but with more protein and way less fat, carbs, and sodium. You remember how your college cafeteria used to serve tuna sandwiches with nine parts mayo, one part tuna? The Swimmer (P200) is the complete opposite. Made with minimal homemade mayo, this sandwich packs a cylindrical slab of tuna flakes about two inches tall. The veggies add the crunch to this protein-packed burger. 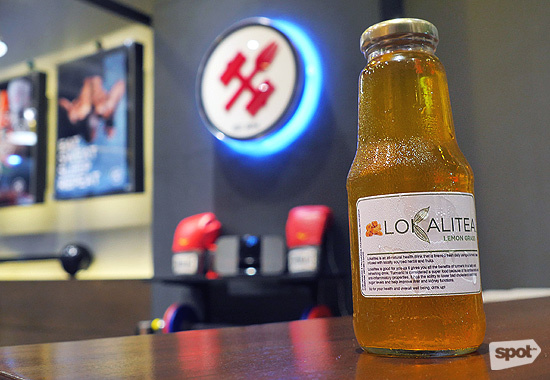 The Power Lifter (P250) provides loads of protein and flavor in a big-boy burger that you won’t believe is actually good for you. 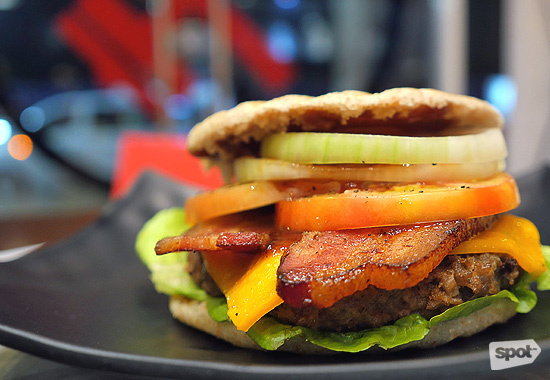 It offers crisp bacon and thick BBQ sauce atop a 90-gram Australian grass-fed beef patty. The BBQ sauce is made with apple cider vinegar, giving it a mild sweetness that meshes well with the savory flavor of the beef and bacon. Don’t forget that all menu items are customizable, so you can up the protein of any burger with an extra patty (think of the gains, bro). Fries aren't to be feared at FitBurger. They have French Fries (P55/Large) and Sweet Potato Fries (P75/Large), and you won’t have to pat them down with a tissue to get rid of any excess oil. FitBurger keeps their fries in ice water before cooking them on high heat. This, Macaraeg says, pushes steam out of the fries and limits their oil absorption. The fries make a good partner for the burgers, but if you want to go nuts with some buddies, then it’s time to go beast mode. 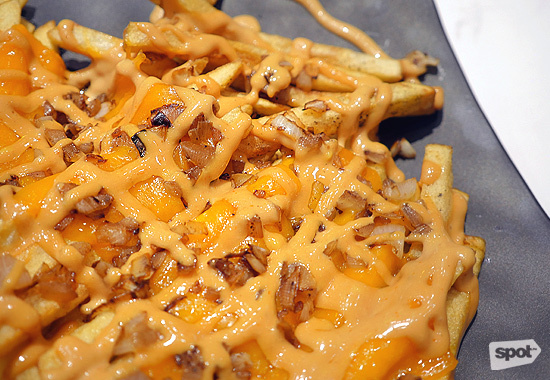 Add P55 to your order, and you’ll upgrade it to Beastmode Fries, which comes topped with two slices of melted cheese, grilled onions, and their signature Fit Sauce. This is part of their secret cheat meal menu. You’re welcome.